This items is specially designed for storing coins, capsules or other small items. It features with transparent color with lip which can easily to use and clean. The compact joint between the base and lip can safely protect your capsules or coins from outside air. It's a safe and valid tool to store your items. - Size: Approx. 2.7 * 2.7 * 2.1 cm/ 1 * 1 * 0.8 inch (L*W*H). - High quality for durable and reusable use. - Mini model for portable carry. - Easy to open and close. - Transparent for easy clean. - Nice holder for coin reposition. 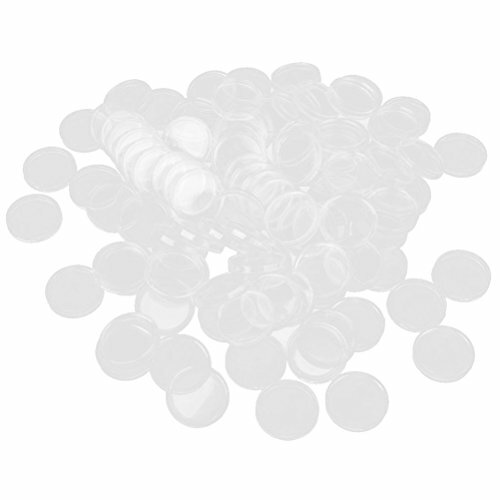 - Used for store capsules, beads and other small trinkets.